Every time I used this gear set up I literally end up questioning myself about the crazy $400/+ razors and brushes out there. 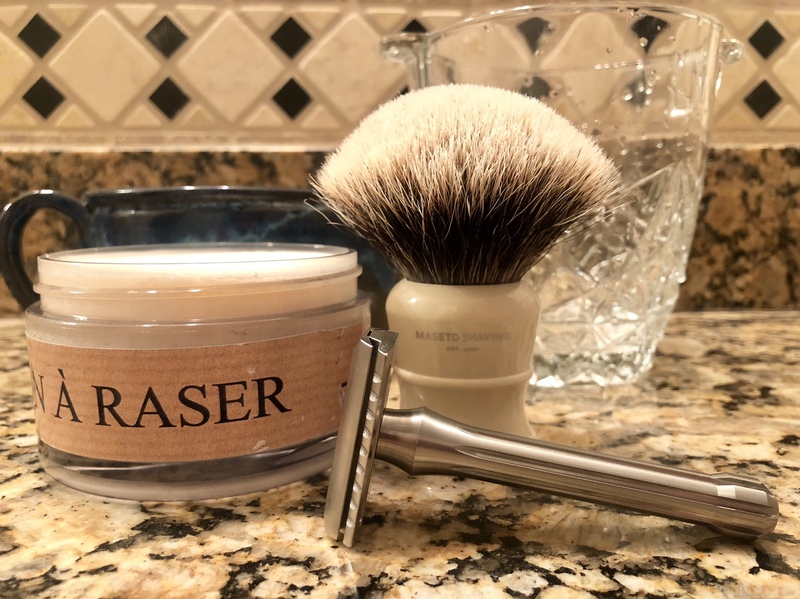 Not saying that I’m not guilty of the over inflated shaving market but I must admit this set up its all you’ll ever need if you on a mid size budget. Nothing fancy, exotic or super expensive but something that will have the work done at the highest level leaving you with a pleasant experience. If this works for you, all the power to you. Had a Maseto, sold it - didn’t live up to the hype. Certainly wasn’t the “highest level” of performance. I would shave with those as a setup for the rest of my life if I had to. It'd be fun to try. Nice gear, shave on! Love me some MdC. Brush looks excellent! It can be a luck of the draw thing with cheap brushes. I got really lucky with a Stirling 26 mm Finest and I would put it up against any brush that I have including Paladin, M&F, The Varlet, Shavemac, and Romera. I would have been more impressed with the "cheapness" if it wasn't a $200 plus razor though. Right it’s hard to find a razor like Blackbird in the two digit number (I don’t think it is ) unless is used and at bargain price. I got this maseto for $30 used few months back and like you said it can really put up a fight against the big boys. Definitely not a cheap set up if you ask me but Mid size budget will get it. For me Blackbird is a great razor for the price (most people will agree). (11-07-2018, 11:47 AM)bkatbamna Wrote: It can be a luck of the draw thing with cheap brushes. 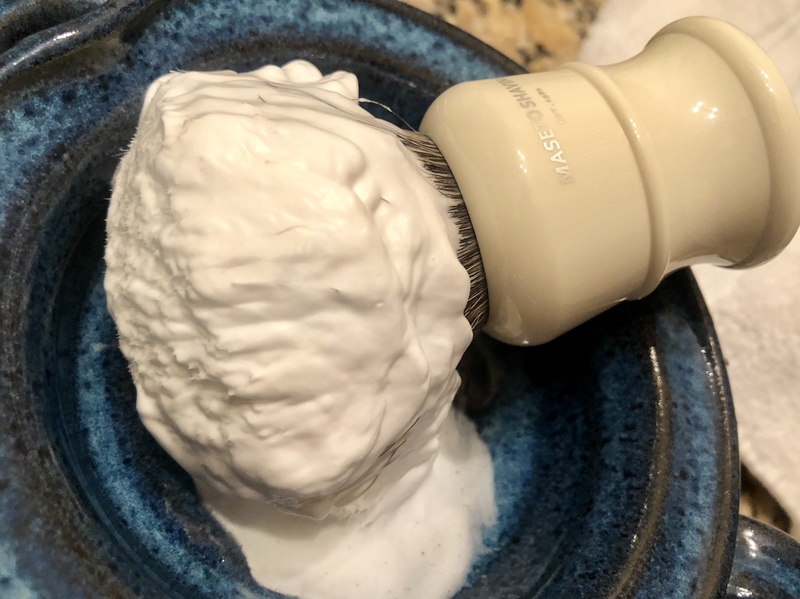 I got really lucky with a Stirling 26 mm Finest and I would put it up against any brush that I have including Paladin, M&F, The Varlet, Shavemac, and Romera. Same with me and my Fendrihan HMW at $79.00. As good or better than any brush I own. I wonder if a second one would be as good. BUT(Big but) I don't think I'll try again...…. (11-07-2018, 12:09 PM)Matador Wrote: Right it’s hard to find a razor like Blackbird in the two digit number (I don’t think it is ) unless is used and at bargain price. If a razor works well for the person, it doesn't matter if it is cheap or expensive. I think the Merkur 34 is still one of the best buys out there. First off, the blackbird is a top notch razor with performance rivaling or outperforming the best out there. And at $185-275 (depending on finish)it isn’t exactly mid level. (11-11-2018, 04:25 PM)Sharps Wrote: First off, the blackbird is a top notch razor with performance rivaling or outperforming the best out there. And at $185-275 (depending on finish)it isn’t exactly mid level. Well let’s see $185 for the brushed razor(the one in the picture) and $50 for the brush. Like I said this is my opinion not a fact since everybody budget is different. But for $230 you can go neck by neck with 500+ set ups. If you agreed good and if you not agreed it’s OK too. I am agreeing with you it’s a great set up for you and on a great budget too. But the brush is the true outlier in your equation. Pair your brush with the CG lvl 3 @ $250 or the timeless .68 Matte at $180 you are in the same ball park. All would be great for same ball park give or take. All I was pointing out.